A wedding is the unification of two hearts, two souls and two bodies. It is the most joyful moment for every bride and groom. A day they will always remember. Yes. Since I started my business, photography is my only business and I am a full time photographer. I believe that in order to become a first-rate photographer or any other dedicated professional, one needs to concentrate in that particular field. Without dedication, passion and hard work, it is not possible to become a great photographer. I specialize in modern, distinct and timeless photography with creative focus on the art of crafting beautiful pictures. Elegance and documentary style photo-journalistic effects are my forte. I am best known for my candid technique, as well as my authentic and dramatic method of photography. I can convert your imagination and desires into beautiful signature portraits that will last an eternity as I visualize and capture your unique wedding images. Do you provide consultation for our wedding photography? Yes. During the decades I have had the privilege of shooting hundreds of weddings. The brides, grooms and their families are from different backgrounds, from different cultures, religions, races, languages. Regardless of their differences they all have one thing in common: they are not professional actors or actresses who often go in front of a camera. Therefore I felt that a consultation would be helpful for them and also for the overall result of the photographs we will be taking. It is challenging for a wedding photographer, because he or she will be working with subjects who are not professional models or actors or actresses. Everything in a wedding happens so rapidly; it is an uncontrolled event. Working in the available lighting conditions, environment, culture, taste, tradition and religion of the subjects makes it so challenging for a wedding photographer to capture the event. I took this challenge as I am a dedicated and consider myself to be very involved in wedding photography. Every wedding is different, although I feel that it will always be a learning experience for me. I will sit down with the bride and groom and consult with them, suggest a few little tricks and tips to them and their immediate families, friends and bridesmaids. Do you charge for consultation? No, it is absolutely free. Free in-person consultation is available for brides who book us for at least eight hours. Over the phone, text and email consultation is free for every client and there is no limit for asking questions. I will be very happy to answer all your questions. I specialize in wedding photography; Indian weddings are mostly what I shoot. There are many kinds of Indian weddings I photograph such as Gujarati, Punjabi, Sikh, Bengali, South Indian, Nepali, Bangladeshi, Pakistani weddings and more. There are dozens of other little but essential equipment we use such as: filters, light meters, triggers, on-camera lights, memory cards, tripods, dollies, drones, backdrops, etc. Do you shoot Indian Weddings only? No, we shoot photography and videography for all kinds of weddings. Although we shoot Indian weddings more than other cultural backgrounds, but it is not the only field in which we have a lot of practice. We have had great opportunities where we have shot many weddings other than Indian weddings, such as Russian, Ethiopian, Somalian, Arabian, Palestinian, Afghan, Pakistani, Bangladeshi, Nepali, American, African American, Ukrainian and Canadian weddings, just to name a few. Yes I am. I have been a full time professional photographer for more than twelve years and it is my only job. I could write a long list with hundreds of reasons why you should hire me as your wedding photographer. • Love Studio Photography offers the best quality of work. • Dev is a dedicated photographer, artist and poet. • Dev considers himself to be the friendliest professional photographer. • We use only the highest professional grade and most sophisticated cameras which allow us to record your photographs on two different memory cards, so that in the event that one card or system fails, we have your images on the other memory card. • I enjoy it very much when I see happiness in the eyes of my client’s eyes. • If a couple is unable to hire me but love my work, I will shoot their wedding for free if I am available. • I respect all religions, cultures, races and traditions. • My price is competitive, reasonable and affordable. • I have many years of photography experience, especially with weddings from various cultures. • I believe that I am always learning new things and new methods in my field. • We dress professionally for every event we shoot. • We use the most advanced and high tech photographic equipment. • We understand your needs and we are always on time. • Dev will design your album himself rather than send it out to a third party to do the job, as an album designer is not a photographer who understands photographs like we do. • Dev is an open hearted person who enjoys meeting clients from all types of backgrounds. • We save your files on several hard drives so that there is almost zero possibility in losing your pictures. Love Studio Photography has been doing business for more than twelve years. I am the founder and I have been a full time professional photographer for all this time and since the company started. How many weddings have you photographed so far? Love Studio has photographed little over thousands weddings during a decade and I myself shot about five hundred weddings up to now. Yes, Love Studio Photography caries full coverage insurance. Our insurance company is suggested by PPA (Professional Photographers of America) and we have the complete coverage that a high-end photographer and photography business needs. Can you provide an insurance certificate if required by the venue? Yes, please let us know if the venue requires an insurance certificate or give us their contact information so that we can contact them directly. What happens if you are not able to shoot our wedding? As of now such a thing has not happened. Luda is a great photographer and videographer with equal experience. She will be teamed up, in order to handle the job more smoothly, by Terry who is an equal level photographer. I am sure that Luda will do that as she is the founding member of Love Studio Photography. She is also my beautiful and beloved wife, and mother of my two awesome and talented children. Do you inspect the venue before our wedding? Yes we do inspection all new venues as it is important to know the layout, lighting condition, height of the ceiling, room color, size, power outlets etc. If the venue is well-known to us and we previously shot there then we simply go there with plenty of time before the scheduled event to set up our equipment. Our price is much lower than our competitors. Many of my wealthy clients suggested I raise my prices, but I understand that not everyone can afford high rates. My goal is to keep my price range within the middle class so that my services are available to everyone. I will give you a discount if you need one, please contact me so we can talk. I will certainly give significant discounts to cancer survivors, active military, war veterans, police officers and students. Do not hesitate to talk to me. Copyright means author or originator. The writer of a book is its creator or originator. A photographer is the creator or originator of a photograph, a poet is the creator or originator of a poem. It is not possible to transfer the Copyright. William Shakespeare wrote “Hamlet” and he will have the copyright and remain the author. Leonardo da Vinci painted Mona Lisa and he will remain the originator or has the copyright of the painting. Copyright release means permission to use. Do you release a Copyright? Yes, we will release a copyright to you. Sure, we provide references upon request. We can also get you into contact with our clients for references should you want to discuss our work experience and high quality productions, photography and videography with them. After choosing your packages and negotiating your price you can make a decision. We will send you an agreement by email. You can electronically sign the agreement or send us back a signed copy along with the deposit. The deposit can be paid by credit card if you signed or accept the agreement terms electronically. Once a deposit is made the contract between us becomes valid and we are both obliged according to the agreement. How long in advance we need to book you? The best way is to contact us as soon as you have a date for your event. Sometimes our weekends are booked from a year to a couple months ahead, and sometimes there are few gaps in our schedule where we would be more than happy to accommodate you and book your event. Please feel free and let us know your event date as soon as you can and we will be happy to provide you with our availability. We work as first come first serve basis. We have been running our business for several years now with plenty of references and thousands of loyal clients through word of mouth, store fronts, social media, online sites and community magazine advertisements, therefore anyone could inquire about our solid commitment and availability to every job we take up. Potential clients can book us at any time, however we cannot promise to hold a date unless a deposit is paid. Once a deposit is made, the agreement becomes valid and both parties are secured. What do your wedding packages cost? This is one of the most frequently asked questions and it is hard to answer in one word. All weddings are different and every wedding is unique. Some weddings last only a couple of hours with just a few close family members. Other weddings are three days long with thousands of guests. Therefore, we like to hear from you our client and learn more about your entire wedding event. Prices depend on few factors, but are not limited to such things as; the duration of the weddings, the number of guests, the number of parts in the wedding, the number of photographers and videographers you would like to assign; whether you want both photography and videography coverage or only photography or only videography service, the numbers of shooting locations, etc. Distance usually does not play any role in the price since you pay for the transportation fees separately. Please fill out the contact form on our website and send us an inquiry. Once we get this information, we will email you a custom quote with a few different package choices. Otherwise please feel free to call or text us at 678-557-7419. How do we pay you? What are your payment terms? (a) Option one is a 25% deposit upon booking, another 25% due one month after and the full balance would be due one month before the wedding day. (b) Option two is giving us a 50% deposit upon booking and then the full balance a week before the event. Please do not hesitate to discuss payment options with us and we will work out a reasonable and convenient option that would work for both of us. Is our deposit refundable if we cancel? No, the deposit is non-refundable. We sold that date to you. The potential clients who inquired about our availability after booking your event are being refused, thus we lost their business. We cannot afford to lose yours as well. Yes, we love to travel and it is a lot of fun. We have traveled to twenty six states during the past decade in order to capture photography and videography of weddings. No matter how far you are, we will travel to shoot your event. We are available to capture any events such as weddings, anniversary, birthday parties, and corporate events anywhere on the planet. Will you travel to meet your client? Yes, we do in some circumstances. It depends on a few things such as distance, if the client has decided to hire us, etc. If you choose a package, make a decision that you will hire us and negotiate the price, we will send you a contract at that point. We request that need to read the contract and request for a meeting with us. We can accommodate you by meeting half way if you are out of the area. Yes. Unlike many other professional photographers we charge comparatively very low fees as we travel by car instead of plane. We feel more secure and comfortable driving as we carry plenty of photographic equipment with us. In addition this method is cost effective for our clients, secure for our equipment and we enjoy the scenery and beautiful countryside. Do you need hotel accommodations? Yes. The number of rooms and duration of stay depends on your wedding schedule and package. We can determine that once you decide to sign up with us. If a wedding is going to be shot by me with my wife Luda then one room would be enough. Do we have to provide food for you during the wedding and reception? No, you do not have to. We carry some snacks with us in case we do not get a chance to go out to eat. However, if you treat us with available food at the wedding event or reception, we would appreciate it very much. You have no obligation and no worries about our lunch or dinner. Will you stay longer if you do not finish by the scheduled time frame? Yes, we will. If your event goes over the schedule, we will notify you fifteen minutes before the ending time. If you want us to stay, you will be billed accordingly. The overtime rate is mentioned in every agreement. The rate could be different from event to event, wedding to wedding and also by the coverage style. It is a lot of fun shooting engagement sessions. Some engagements are very formal. I call those “Mini Weddings”. Some are very private with just the couple. We would love to assist you with your occasion and whatever style you are planning for your unique engagement event. Can I have my engagement photo session in a park? We love outdoor photography and being close to nature. Fortunately we live in sunny Atlanta where it’s green, and where there are many trees, flowers, gardens and parks everywhere with a blue sky and refreshing lakes. We would love to schedule an engagement session anywhere that is convenient for you. For our out of state clients, no worries, we will find a naturally beautiful location near you that would blend perfectly with your absolute magnificence. How much do you charge for an engagement photo session? Combination packages are always cheaper. Individual engagement photo session prices are based on a couple factors such as duration, type of engagement and the location. Price is also dependent on your engagement session; whether it is a larger event or a private photo session indoors or outdoors. Please contact me by filling in the contact form on my website and we will send you an estimated quote. You can always call or text us at (678) 557-7419 for a personal quote. What do I bring with me at the engagement photo session in the park? The Parks of Georgia are big. We will walk from one spot to another. I am not the type of photographer to watch the time to find out if the scheduled time has ended. I am the type of photographer who would rather shoot till I am satisfied and until I feel I have shot enough, and until I am done with all the creativity that is being played in my mind. I will shoot until all of my ideas turn into compositions along with my subjects. You are my subjects for today’s photo session. My fantasy, imaginations, creativity, and composition style may vary depending on the location, time of the day shooting, taste, personality, purpose, and outfits of the subjects. My ultimate goal is creating stunning photographs by turning imagination to visualization, creativity into composition and your style into emotions. Thus, the very first thing you need to bring with you is time. Even though if you have certain amount of appointment session time with me, often it will be more than that. So if you have flight to catch after the photo session, that is probably not a good idea. Before making the appointment make sure you are free that day and have plenty of time. If your engagement photo session goes beyond the scheduled time frame you do not have to pay if it is my initiative to take more pictures. If I think I have taken enough photographs according to your package, I may wrap up the session. You can request additional time to continue for additional fees. Girls: Please bring a few outfits, a small mirror, a make-up touch up box and a hair brush. You should also bring a light weight tote suitcase with wheels which is easy to carry. I, Dev Ghosh will photograph your wedding. We can plan and discuss that during the time of the negotiation of the contract agreement between us. If you choose another photographer than the Love Studio photography team, or I am not able to shoot your wedding, we will make a settlement at that point with you. Do I need an additional photographer? Not for small weddings and events, however for big weddings and events it would be necessary to do so. If your event is only a few hours long with a few people an additional photographer is not necessary. Please consult with us and we will describe everything depending on your situation. Do you shoot a wedding with assistance? It really depends on many things. Let me explain why: Two weddings are never the same in many ways. Some weddings have as few as ten people and some weddings have as many as a thousand or more attendees. Each bride has a budget and special requirement. If it is a small wedding with only a few hours of coverage I do not require assistance, I would shoot that wedding myself. For longer coverage of weddings with a big crowd I always bring a well-trained assistant who can help me set up my lighting. He also doubles as a handyman. Yes, I shoot with a second photographer for most weddings. For a smaller crowd and few hours of coverage regarding other events, I do not need a second photographer to come with me. Every bride budgets her wedding differently. I believe, in order to cut the overhead cost for a second photographer, it is best if the job is handled by one photographer. My loyal clients say that I shoot with lightning speed, and I that I myself am equal to five photographers! Do you have female photographers? Yes, Luda and Lisa have been photographing for years and they both have extensive knowledge and experience taking photographs at weddings and events, as well as taking perfect portraits. Luda has joined the Love Studio Photography team since the studio was formed, while Lisa joined our team over four years ago. It is nice that they both have knowledge of the various Indian culture and traditions required by photographers and videographers. This helps, as men, in some cultures, are not allowed in a crowd of women. Thus, if you have such a requirement Love Studio Photography and Movie Production is the perfect match for your event. Will you allow any of my family members or friends take pictures during my wedding? Yes I do allow that. I just hope that they are not in my way, and that they respect my presence and they follow my directions. I usually request them not to point their cameras at the same time that I am shooting. Lots of flashes could ruin the pictures. The subjects get confused and usually look in different directions and toward different cameras. I just hope that they will shoot their photographs after I do. At the private set up and posed photography session for the bride, groom and their families, no one is allowed to take photographs. I review every situation, and as long as they are not bothering me with my work, they will be allowed to take pictures. Do you cover a Bride’s getting ready session? One of my most favorite sessions is while the bride is getting ready and I absolutely enjoy shooting those important moments in every bride’s life. Do you take posed photos of the bride, groom, bride maid and family? Yes, we will set you up, prepare you for the pose and shoot some dramatic, yet artistic photographs. Do you shoot my wedding’s decoration pictures? Yes we certainly do. We capture your decorations and details, floral arrangements, stage set up, the venue and everything belonging to your wedding. Most of the time the brides have not had the opportunity to look closely to all the beautiful decorations which have been placed in honor of her wedding, so we take great care to document all the decorations and details from multiple angles, both in tight close shots, as well as wide angle shots. Do you do bridal portraits? Yes. It is a standard practice by Love Studio Photography to do bridal portraits for every wedding we shoot. When is the best time to do a bridal portrait on my wedding day? My preferred time for the bridal portrait photo session is just after the makeup is done. It is at this time that the brides have the freshest make up, freshest outfits, a tireless face and the bride is away from having to pay attention to the crowd. There is another advantage when we shoot the bride while she is getting ready, since we are already there and neither the bride nor our photographers have to relocate. I also enjoy shooting the bride and groom portraits on the decorated stage while it is empty if we have the opportunity to do so. Another good moment for portraits is just before the reception and after all the decorations are in place; at that time the crowd is also outside in the cocktail area. The brides- groom’s immediate family could also come to this session if planned ahead of time. I do not think it is a good idea to have a portrait session after the ceremony and the reception because sometimes the bride and groom are not as fresh looking as they are right after getting ready and with new makeup. On the other hand, the family and friends photo sessions are usually done after the wedding ceremony and anytime during the reception. Do we have to provide you with a list of important people to photograph during our wedding? We work perfectly fine with a list or without one. A list is always helpful. Our packages provide unlimited photo shoots for all the events we go to including weddings. The quantity of the photographs we take depends on a few factors, such as number of hours of coverage, kind of event, number of guests, etc. In most cases we shoot no less than one hundred twenty five pictures in average per hour if not more. Will you deliver all photographs you took? We only delete images such as those where someone has closed eyes, fired-flash pictures that did not come out well and if someone runs into the picture, as well as odd looking subjects. Otherwise we will deliver all images to you. This applies to all types of events we shoot including weddings. Do you edit all pictures? Yes, every image posted on your gallery and delivered to you is appropriately edited. Images posed online are exactly the same as you delivered them in DVD or as a USB flash drive. In addition to this we also retouch some photographs as a courtesy to our client. Do you retouch our wedding photographs? If you have an album in your package, all images of the album are retouched with great care. We add special effects in every picture and try our best to make you stand out and look beautiful. Do you add special effects to our wedding pictures? All pictures of the album are retouched and have added special effects. If an album is not included in the packages we provide you few images with retouching and adding special effects. Do you guys guide us on posing or give us direction for photography? Unlike movie actress and actors, our brides, grooms and all other subjects normally do not have to experience posing in front of the camera. We try to understand our bridegrooms’ personality through our conversation and consultation. We will be directing you while we capture a set-up posed photo session. How long does it take to get the images after the wedding? It normally takes 3-4 weeks to deliver your wedding photographs. Please allow us to take the appropriate time to deliver to you superior photographs as promised. We mention the delivery method and time in the agreement and we usually deliver faster than we mention in the agreement. The photography delivery time may be little less for other events like anniversaries, birthday parties, graduations, etc. Do you provide high resolution pictures? Sure, you will receive a PIN number so that you can download digital negatives or high resolution photographs onto a DVD or USB flash drive, as per your request. To understand this better and avoid misunderstandings we will mention all items included in your packages with all terms once you retain our services. Can we get some pictures of our wedding in black and white? Yes. We shoot both RAW and JPEG in color. We do not shoot in black and white mode unless there is a special request. However we will be more than happy to provide you with a few black and white photographs by converting them at any point during the picture editing process. Please talk to us if you are a fan of black and white pictures. I personally love black and white photography with some special effects and natural tones. Will we get our digital files? Can we download our digital photos from your gallery? Yes, you can download your digital files and your digital negatives from our online gallery using a PIN provided by us. Alternatively we are happy to provide your digital photographs on a USB flash drive or a DVD. Our online gallery is similar to a photography website, but slightly different. You need a unique password which we will provide you with to access the gallery. You can share the password with anyone. Once you log in you will see all of your pictures. Our website is user-friendly, as you are able to share your images on social media; you could email any picture to anyone, you can order any or all pictures for printing and you are able to download images using the PIN we will be providing you. Your friends and family are able to share, email, order prints, and like you online. The PIN is only for the bride and groom and distribution of it among the guests and friends is not allowed. Do you post wedding pictures in an online gallery? Yes, we certainly do. Once we go through and are done working on your projects we post all photographs in an easy-to-use attractive gallery. You can view, share, email and download any or all pictures from this gallery. You can go online and look at: lovestudiophoto.com, to get a general idea about our online photography gallery. Is my wedding photo gallery password protected? Of course it is. We will send you a unique password for your gallery along with a PIN for downloading pictures from there. You can share and distribute your password with anyone you would like to. Can we order prints from our online gallery? Sure, you can. The online gallery is very useful. You can order any size print including prints on canvas. Anyone with whom you share the password is also able to purchase prints from the gallery. Any of your friends who have been given your password will also be able to share any image with their social media and email to their loved ones, etc. What kind of wedding packages do you offer? My packages are customer friendly and there are several packages I offer to my clients. With some packages, albums are also included. Every wedding is different and no two weddings are the same. Some clients want videographs included in their packages, so, I would say every package is unique although there are few items in all packages that are common. What are common items in all wedding photography packages? • All your photographs delivered on a USB flash drive or digital download or in DVD. Regardless the event type, size and kind, all packages have these common items. Absolutely; we offer digital coffee table bridal albums, albums for parents and albums for the brides maids. These books are gorgeous and are printed on a variety of high quality paper. There is also a large selection of cover options to choose from. We encourage our clients to meet with us in order to see our album designs and collections ahead of time. It is hard to understand how beautiful the wedding books are without seeing, touching and feeling them first. How long does it take to get an album and what is the procedure? Once your images post in the online gallery, you can download your digital negatives onto your computer or we can send you a DVD or USB flash drive with all your pictures. You need to select the images for your album either from the online gallery or the median we sent you. After receiving your image selection, we will retouch those images and create a beautiful layout for your album. It will take about four weeks to create the album. The digital layout will be sent to you via email first and you can request a change at this point in the design. We will send you the layout again after making your changes. It takes about five weeks to get the masterpiece to you. Who designs my wedding album? Do you print the albums through a reputable company? I feel that after spending so much of their valuable time and money, my clients deserve to have the finest albums placed into their hands. This actually makes a huge difference to me and although some albums produced by some random companies may look nice, I can imagine what the color of the photographs will look like after five or ten years. We use only two album manufactures that are top of the line in their leading industry, one is located in Italy and the other one is located in the USA. RAW is a file format. It is unprocessed or a very minimally processed data image file from the image sensor. RAW images file format extensions vary from one camera to another. They are different depending on if the camera we use is a Nikon NEF, a Canon CR2, or a Pentax PEF, etc. Can you provide RAW photograph of our wedding? No we usually don’t. RAW files are like uncooked food. I cook the food for you and serve you as your private caterer. You hired me with great trust and you paid me a lot of money. We do however keep a copy of the RAW images. You could purchase your RAW files if you wish and ask for a price quote for those. All RAW files of a typical full day of wedding photography would cost you two dollars per file and we would offer all the photographs without selection for purchase. Do I need RAW images? No, you don’t. You need to get special software to convert RAW files to everyday usable JPEG images. This conversion process takes time. You need to be skilled with developed eyes to make a correct conversion from RAW to JPEG photographs. You already get all the pictures we have taken in your event in high quality standard JPEG format. In very rare cases, if someone would like to save an unconverted file in their archives then they could. In fact our pictures in JPEG format could also be archived. Do you shoot Ethiopian weddings? Yes we do. In 2004, soon after our first advertisement along with feature photographs of an Indian wedding published in the Little India magazine a young lady called and inquired about our photography and videography services. We set a meeting with her and her fiancée. When we talked over the phone I felt that she had no accent and she spoke perfect English. When we met she said that she was born here in the United States and that her parents were from Somalia. I had only shot three weddings at that time. They decided to book us at our first meeting in my basement art studio. The young lady said that her Ethiopian friend was looking for a photographer and that she would refer us to them. The very next day I received a phone call from another young lady who spoke perfect English and who requested the same wedding package as her friend. That evening I signed up with and booked a second wedding through word-of-mouth only! That is what started my wedding experience with the Ethiopian community. As of now we have shot more than forty Ethiopian weddings. Ethiopia has two major religions, Christian Orthodox and Islam. We have had the privilege of shooting both Muslim traditional Ethiopian and Christian Orthodox Ethiopian weddings. Do you shoot Somali weddings? Yes, we do. We started shooting Somali Weddings in 2004. We have shot more than ten weddings so far. Do you shoot Pakistani Weddings? Yes absolutely. Pakistani weddings and events are the second largest number of weddings and events we shoot after Indian weddings. There are many things in common between Indian and Pakistani weddings. In general, most professional wedding photographers mention Pakistani, Nepali, Bangladeshi, Sri Lankan, Afghani weddings under their website tab of Indian weddings. All of these weddings have many things in common, although Afghani weddings are similar to Persian. Do you shoot Afghani weddings? Yes, we do. 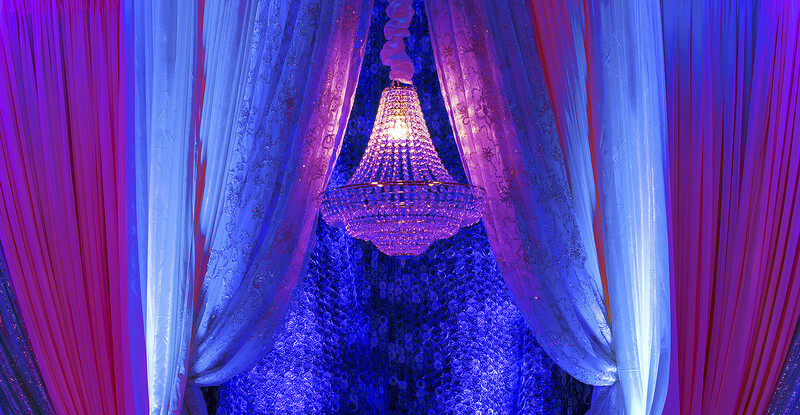 We have shot our first Persian style Afghani wedding in 2008. Since then we have photographed and videographed several weddings and receptions of Afghani descendants. Can you suggest a wedding venue in Atlanta? Yes, please feel free to contact us direct and we will send you few nice venues of the Atlanta metro area where we have photographed weddings, receptions, anniversaries and birthday parties. Do you shoot Ismaili Weddings? Yes we do. There are many pictures from the Ismaili weddings we attended as photographers. These are displayed under the Indian weddings gallery tab on our website. Ismaili, Pakistani, Nepali, Sri Lankan, Bangladeshi and all south Asian weddings are under the Indian weddings category. Yes, as a professional full time professional photographer I am capable of shooting a variety of events. There is another reason I shoot all kinds of events other than weddings; many people know me personally since I have been living in Atlanta for the last seventeen years. Love Studio Photography is a known name brand in its industry. Our loyal customers often call our company to capture different events within Atlanta and the neighboring states. What type of events do you shoot other than weddings? There are few events we often shoot other than weddings such as birthday parties, engagements, baby showers, anniversaries, corporate events, family reunions, graduations, etc. Please contact us for your event if we have not mentioned it here and we will be of service to you. What other photography and videography services do you provide? We are able to do portraits, fashion shows, birthday parties, anniversaries, sweet sixteen parties, and engagement parties. We have also done archival photography printing on various kinds of papers such as canvas, luster, pearl and metallic paper. Do you do portrait photography? It is my passion shooting a portrait session. We offer in-studio portrait photography and outdoor sessions. Greater Atlanta is beautiful, usually sunny and also very green. We would love to schedule a portrait session for you in a park or in our very own studio. Do you shoot Pregnancy Photographs? Yes, we do. We are now at the third stage in photography. We shot the couple’s wedding when they got married, then we shot the pregnancy photographs after their marriage, their baby shower, and then shot their children’s birthday parties. We have plenty of loyal clients who are growing their families and we have been documenting this joyous history for them. Do you do head shots, private portraits and family portraits? Yes, Love Studio Photography offers headshots, personal portraits, family portraits, fashion photo shots, profile photos and wedding photo shots. Please let us know if there is a type of photo-shoot you are interested in that is not listed here and we will provide it for you at a competitive price. Does your studio offer product photography? Yes, Love Studio Photography can do product shots for your website, magazine ads, and print media and social media. We have successfully completed product shots for a wine company, jewelry stores, new and pre-owned Rolex dealers and apparel companies. Do you shoot birthday parties? Yes, we do. Please feel free to contact us for a price quote. Do you shoot sweet sixteen celebrations? Yes, we do. A sweet sixteen is a sixteenth birthday of a girl, so it is a birthday party celebration. Do you offer outdoor photography? Yes, it is our favorite type of photography. Do you offer Canvas Printing? Yes, we offer canvas printing with the touch of an oil painting look. We use our own printing facility in order to achieve the highest quality type of canvas printing as possible. We also can do gallery wraps or framing according to our clients’ needs. The technology, the canvas and ink we use to print has proven to be very long lasting. Every detail counts, so we create the photographs, do the edits, the retouches, add effects and print mount or frame everything ourselves. We do the job from start to finish and that is why we are able to attain the highest quality. Do you provide Videography service? Yes. I feel proud of my wife Lyudmila. She is a great asset of Love Studio Photography & Movie Production. She has been shooting wedding videography since the studio was born. With extensive knowledge in HD videography, cinematography, as well as familiarity with the western and Indian culture, Lyudmila is well-known as a famous videographer for all kinds of events. Do you provide HD videography? Yes. Since HD videography technology became available in the market, we started to offer HD video and cinematography to our clients. We encourage our clients to get high definition HD movies since the quality of the pictures are significantly higher than standard definition SD video. Can you provide our wedding movie in Blu Ray disc? Yes. The high definition HD movie has a much clearer picture than standard definition SD video. And the HD movie is only possible to be delivered in blu ray disc if your choice is between blu ray and DVD disc. It is a few years now we stopped offering SD video unless requested by a client. Will you edit our wedding movie? Absolutely; after shooting your event or wedding, we take time and create a movie out of your raw video footage. We remove unnecessary, unsuitable, distracting and dull parts of the video. We add special effects, transitions, menu, chapters, names, titles, background music and slow motion to make your movie visually spectacular! Can we choose songs for our wedding video? Yes, in fact we always encourage our clients to do so. Because every person has a different taste in music and to satisfy our clients, we make a tailored audio masterpiece for their style. We ask our clients to choose the songs they like most and how they would like their movie to be dubbed. Some clients request us to choose songs for them, so we do. At Love Studio photography & Movie Production we have years of experience and are very familiar with the types of songs or music that best fit-in with a particular type of video footage.